Dr. Coleman and Dr. John believe continuing education and staying abreast of the latest dental advancements are essential to providing their patients with the best possible care. As a result, Coleman & Coleman Advanced Dentistry is equipped with many of the most recent technological innovations in the field. This state-of-the-art technology allows our dentists to create a more effective, efficient, and comfortable experience for you and your family. Learn more about the technology used at our practice below. To enhance your comfort while improving the accuracy of your treatment, our team utilizes a state-of-the-art intraoral camera for many procedures. 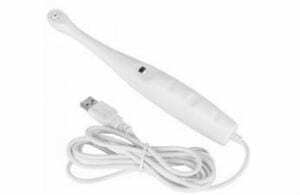 This small, handheld device allows us to painlessly view magnified images of the structures of your mouth. The photos can be displayed on our high-res computer monitor, so both you and your dentist can see any dental concerns in greater detail. This not only promotes doctor-patient communication, it also makes it easier than ever for you to participate in your dental care. 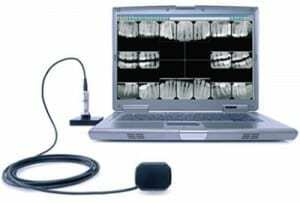 Digital x-rays have revolutionized the way dentists monitor and diagnose the health of your teeth. Traditional x-rays are developed on film. However, digital x-rays are processed on a computer and immediately displayed on a monitor. They provide patients with reduced exposure to radiation by 90% when compared to more traditional x-ray technologies. In addition to the ability to enlarge and enhance digital x-rays for easy viewing, the images are also easily stored and filed electronically in your personal records. Smile imaging technology allows you to see a “preview” of your potential treatment results before undergoing a specific procedure. Our dentist first takes comprehensive digital photographs of your mouth, which can then be manipulated to reflect the possible outcomes from treatments such as porcelain veneers or teeth whitening. 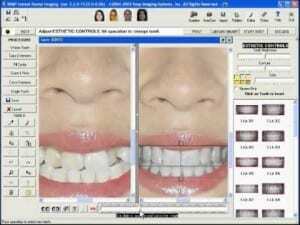 Although these before-and-after images are only intended to give you an idea of the possibilities, smile imaging can be a useful tool during the consultation process while discussing your concerns and expectations with one of our dentists. 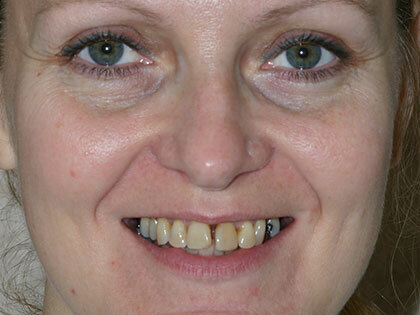 Air abrasion provides an innovative way to remove decay without the use of needles or drills. This technique for cleaning the mouth utilizes micro-invasive infiltration technology for treatment that is so gentle no anesthetic is typically required. In addition, patients prone to dental phobia often prefer air abrasion because this drill-free procedure does not involve many of the sounds or sensations typically associated with a dentist’s office. Digital charts not only increase the efficiency of our office by saving the time and space paper files occupy, but they also let us run a greener practice by dramatically reducing the paper we use. Since oral cancer is both common and quick to advance, oral cancer screening and early detection is vital to a successful treatment and recovery. Using the brush biopsy technique, our dentists are able to detect oral cancer in its earliest stages, allowing us to promptly address this potentially life-threatening condition. Oral cancer screening with brush biopsy is a fast, easy, and convenient way to help ensure you have a healthy mouth. Our dentists recommend you have an oral cancer screening performed at least once a year, and more frequently for patients who smoke. 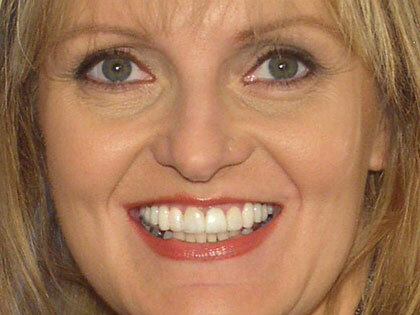 The use of digital photography in our office offers a number of benefits for both you and our experienced dental team. First and foremost, utilizing digital imaging allows us to communicate more effectively with you, the patient. You can more easily visualize the treatments we recommend, and our dentists can see with greater clarity any conditions or concerns you may have. This makes it possible to identify an issue in its earliest stages and to help you address it as quickly and as fully as possible. As with all of our techniques and technology, digital photography is designed with your needs and goals in mind. 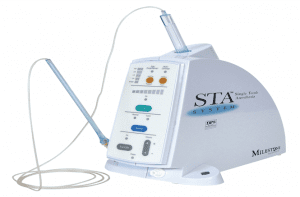 The Single Tooth Anesthesia System® (STA) allows dentists to precisely target an area of the mouth for highly controlled injections. Computers help hone the anesthesia injection so that only the tooth being treated is affected, minimizing the amount of anesthesia required for certain procedures as well as increasing your comfort. If you suffer from dental phobia, techniques such as STA or sedation dentistry can significantly reduce anxiety and provide a more relaxing overall experience. Sleep apnea is a potentially dangerous condition that affects many people without their knowledge. If one of our dentists suspects that you may be exhibiting symptoms of sleep apnea, he may recommend the Apnea Risk Evaluation System (ARES™) by Watermark Medical®. This innovative device allows your sleep to be monitored in the comfort of your own home. The ARES™ is worn on your forehead at night and monitors vital signs such as your pulse rate and airflow to determine if sleep apnea may be impacting your sleep and your health. Periodontal scalers help remove plaque and hardened tartar from the teeth. The Pro-Select Platinum® ultrasonic scaler facilitates this process by reducing the amount of pressure needed to effectively treat the teeth while also employing Advanced Comfort Technology™ to improve your experience during treatment. 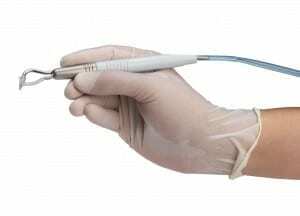 This unique instrument also combines scaling with heated subgingival irrigation for an even more thorough hygienic cleaning. If you would like to learn more about how Dr. Coleman and Dr. John use the latest technological innovations to achieve healthy beautiful smiles for their patients, please contact our office today.